If you are into buying a suitable electronic lock, then you certainly will have reasons to find this article suitable to your requirements. There is a gradual but perceptible shift from conventional locking systems to digital locking systems. 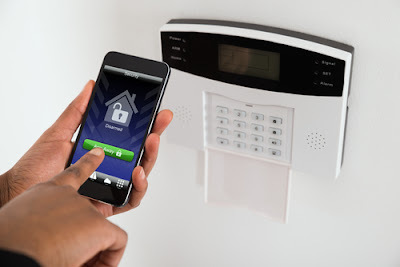 This is because there are some obvious advantages and benefits associated with modern day electronic or digital locking systems as they are called. They are suitable of taking care of modern day security requirements because of increased threat perceptions from “modern day” burglars and thieves. However, since there are so many options available choosing the right digital lock could often be a difficult and tough solution. Therefore it would not be a bad idea to have a look at the various important attributes to keep in mind when it comes to choosing the right electronic locking systems. We are very hopeful that the next few lines will certainly help in identifying the right locking systems which is modern and sophisticated. Ease of use is one of the most important points to be kept in mind when it comes to choosing digital locks. There is no point buying a sophisticated locking system unless it is customer friendly and come with easy to operate features. It should allow facilities and features which make customization possible as and when needed. It would always be advisable to look at these features very very carefully before buying these devices. This is another important attribute to which should always be kept in mind when it comes to choosing these service providers. Any good electronic and digital locking system should be such that it should allow reprogramming. In other words it must be build around robust software platforms which are customizable and a few coding is all that would be required for to ensure that the parameters and certain attributes of the locking device can be changed. This would be difficult for end-users to understand and they need to take expert advice when it comes to finding more details about such software. There are many online help lines and resources available which perhaps can help them to know more about it. Cost is another important attribute to be kept in mind when it comes to buying a suitable electronic or digital locking device. They are available in different price ranges. Hence customers should do their research properly and then decide as to which the best option is available to them. There is no point wasting thousands of dollars on fancy locking systems for homes and offices where simple and basic models will do the job. You have to go through the various due diligence process and then decide as to which is the best option that offers the desired value for money. When choosing electronic locking systems you must be sure that they can be installed as easily as possible. They should be versatile in the sense that they must be installable in almost all types of doors. Wooden doors are most common in homes. Hence any electronic locking systems should have the facility for installing in any type of door without which it cannot be called as a good locking and safety system. There are quite a few expensive electronic locks which have to be discarded because they fall apart because of the surfaces in which they are installed. Therefore this point has to be always kept in mind when it comes to buying an electronic locking device. 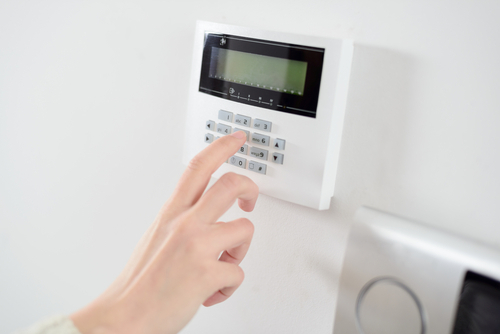 Electronic locks are still in their nascent stage and therefore not many customers know how best to make use of it. Therefore there ought to be problems and challenges along the way. Therefore, it is important to choose a brand or model which offers the best possible services whenever needed. Towards this objective, you must choose a manufacturer who has the best of after sales service setup. Whether it is upgrading the software or reinstalling corrupted operating systems or even adding new features and attributes to an already existing locking system, there are quite a few things which must be kept in mind when choosing a supplier. Unless they have the best of support systems it would be better to stay away from them. 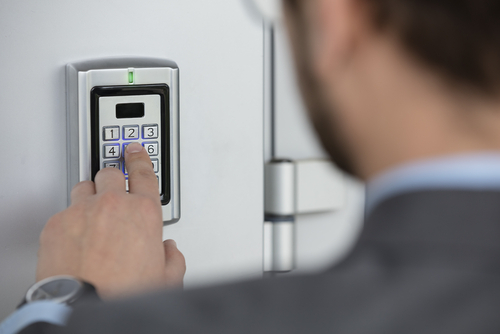 As technology moves from one level to another, it is common to come across new and advanced variants of electronic locks. Hence before buying them you should be sure that they have latest and most advanced features. For example, today there are some digital locks which have the facility of tracking down movements which happen in homes and offices real time. This is wonderful feature which must never be lost sight of when buying these devices. Another point to be kept in mind is to be sure that such locking systems are able to replace the conventional ones which may not be always possible. There are some situations where it would always be better to opt for the conventional locking systems because of the various benefits which are simply irreplaceable. For example, when it comes to securing the doors and windows which are exposed to the elements of nature, it would always be better to opt for conventional locking systems. Finally, there are reasons to believe that today you have locking systems which are inter connected or they could also be stand alone. Hence, when choosing a suitable locking system, one should not look at it from an individual perspective but should look at it from a holistic point of view. The kind of batteries which they will have and the standby power systems in place should also be considered carefully before choosing the right digital lock. It has to be a complete and holistic solution rather than being piecemeal. Therefore quite a bit of homework needs to be done when it comes to choosing the right electronic locking system.